Before I get too far into my 28 Day Organizing Challenge, I thought it would be helpful to show a basic 360 "before" view of my kitchen. We bought our home just over two years ago. 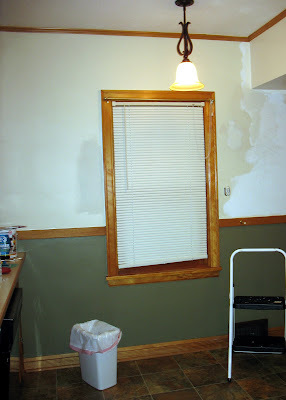 Most of these pictures were taken when we were repairing our kitchen walls late last fall. ...and an ugly old refrigerator (obviously not original). I hope to have a replacement very soon! Turn a bit more to the right and you'll see the stove. (Thankfully, we just bought a NEW stove this winter!) 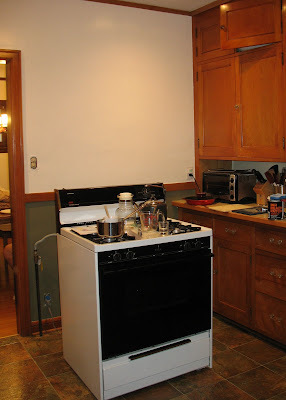 In this picture, the old stove is pulled away from the wall a bit, but you can still see the odd gap between the stove and the cabinets/countertops. The freestanding stove and old school layout present some challenges, to be sure! Continue turning to the right and you'll see the wall of cabinetry — the only wall of cabinetry! 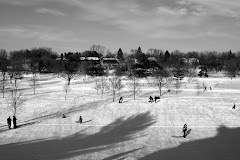 (This picture was taken a couple of days ago. You can see we had already begun clearing the countertops of clutter at this point.) 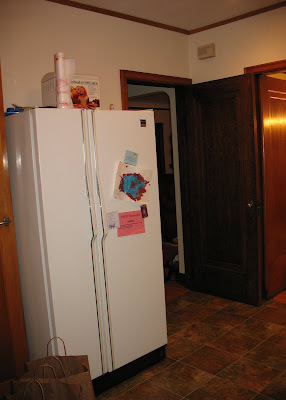 The row of small cabinets by the ceiling are unreachable from the floor. 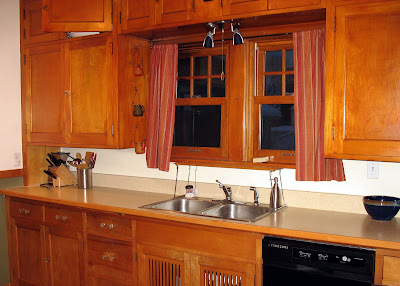 That leaves us with just two large upper cabinets for easy storage. The cabinet in the upper righthand corner of the picture is the one that I organized in my last post. Stay tuned for more on how we're turning this funky old kitchen into a space that cooks!